Access Motor | ASP Group s.r.o. ASP Group Distributing - the official authorized distributor of Access ATV/UTV to the Czech Republic, Slovakia, Poland, Romania, Croatia and Slovenia. Years ago, when we were looking in Taiwan for ATVs we would choose for import, we visited all major Taiwanese ATV manufacturers. And Access Motor was one of the winners. From many reasons: for their proactive attitude, for corporate spirit and professionalism of Access Motor people, for high quality standards of Access Motor ATVs, for modern factory facilities including own engine production plant, for passion to produce products on higher level than competition. Access Motor today is a leading Taiwanese ATV manufacturer. Dynamic and fast growing company specializes in design and manufacture of high quality Utility, Sport and Youth ATVs which are sold all over the world including very competitive US and European markets. Access Motor has modern R&D center with professional team which develops new models, engines and indigenous technologies. Each new ATV/UTV is subjected to extensive testing in real-life conditions, each produced unit is fully checked on multi-functional roller test bench to ensure highest standards of power, speed, torque, acceleration and braking. 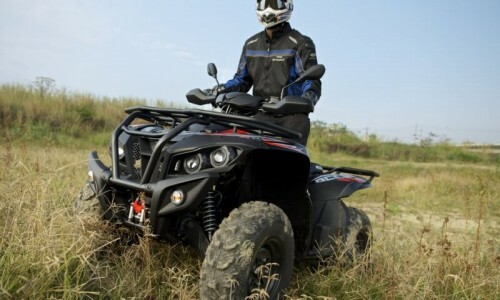 Reasons of high popularity of Access Motor ATVs are innovative design, superior handling, high manufacturing quality, excellent reliability and outstanding quality/price ratio. Access Tomahawk is the legendary winner of number of offroad and offroadmarathon races and championships, junior racing DRR models are dominating in youth ATV championships in USA, Czech Republic and many other countries. 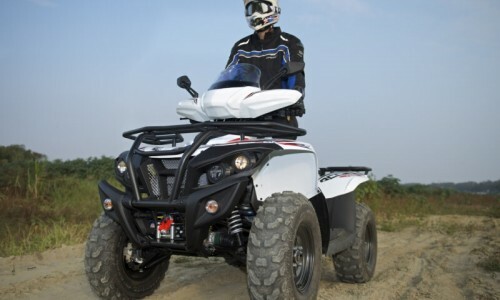 Access Max Utility ATVs are popular for their pleasant handling, hi-tech features and renowned reliability. Access utility ATVs are capable solution for both work and play. They´re not harming the environment, are tireless partners on weekend houses and cottages, they can carry wood from the forests, sweep snow, pull heavy loads. Access single- and two-seater ATVs are relentlessly helping on farms, in urban green areas maintenance services, emergency services, they ensure deliveries in mountain resorts. 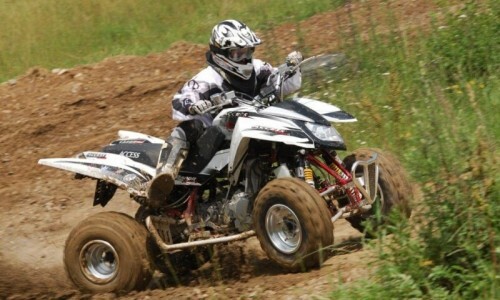 Access utility ATVs are invaluable in rough terrain and pleasant buddies on Your weekend trips. Access ATVs attracted worldwide attention in 2016, when completely stock Access MAX 650i Transasia set a new world record by travelling more than 14,000 km from India to Europe in six weeks while pulling heavy caravan trailer. Legendary winning Access quad bikes gained their excellent reputation from countless wins in many crosscountry races, offroadmarathons, by winning countless official Czech and Slovak Quad Championships. Convincing in every situation no matter how hard you ride, Access quad bikes are best combination of power, sharp braking, great maneuverability and easy handling while wide chassis with low center of gravity ensure excellent stability. Kids love to ride, and once they have a taste of the freedom and exploration off-roading offers, they’ll never forget that feeling. Kid's and junior Access DRR quad bikes are one of the most popular and most successful kid's sports and racing ATVs in the world. From 50cc models for future champions - wider and more stable than any other children's quad bikes, with numerous safety features, low center of gravity and convenient electric start, up to factory-tuned up racing models with a wide track width, superb nitrogen suspension and powerful engines, which are capable of winning races even without any modifications. Our customer care does not end by sale and delivery. We offer professional after-sales service and fast delivery of original spare parts. We constantly strive for high professionalism of sales and service staff in our widespread dealer and service network. With more than 400 locations all over the Central and Eastern Europe we are always close at hand when you need us. We permanently hold an extensive stock of original spare parts and accessories at our central warehouse in Letkov near Pilsen, so we can deliver them within the shortest possible timeframe. With Access Motor original spare parts you can be always sure that they will fit, are designed to the exacting manufacturer´s standards and work better and last longer than aftermarket parts to keep your ATV in best possible operating condition. Access Motor Company, located at Chia-Tai Industrial Zone, Taiwan, was founded in 2003. Since the beginning company specialized in design and manufacturing quality ATVs, quad bikes and petrol engines. Access Motor has industry leading team of professional Research & Development engineers who design and develop Access Motor’s indigenous technologies, engines and ATVs. Access Motor Company not only produces own exclusive range of ATVs, but also designs and produces OEM parts and assemblies for other world´s leading ATV manufacturers. Access Motor has two modern assembly lines with very strict Quality Control to ensure highest possible production quality of every single component. Also, every produced Access Motor ATV is fully tested on roller test bench to ensure desired level of power, speed, torque, acceleration, braking, safety and rider´s comfort. In 2007, over one million USD were invested into new technologies and toolings to ensure that all the components and products are of higher quality than competitor´s. Since 2008, Access Motor Company is fully ISO 9001:2008 certified by TÜV Rheinland. In 2014 Access Motor Company invested into completely new modern production facility with a 40.000 m2 factory to meet increasing market demands. This new facility also has a large outdoor testing area that allows real world testing to enable the R&D team to quickly evaluate new designs. Having all these resources and technologies at the disposal, Access Motor is financially strong, advanced and dynamic company which levels most competitors on the market.